Rhinestones are imitation diamonds commonly used for jewelry making. These colorful stones or gems are also used for decorating clothes and other accessories like belts. The combination of rhinestones and leather has been proven beautiful and ageless. 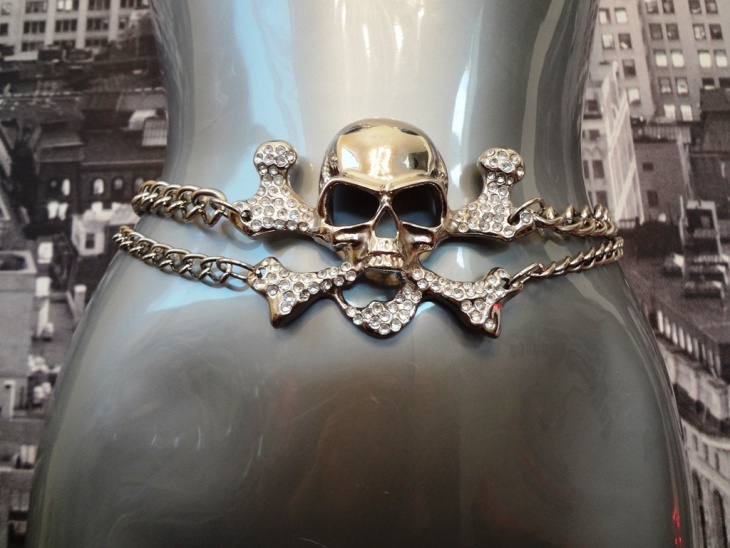 One of the most popular Rhinestone belts is the Hermes belt. 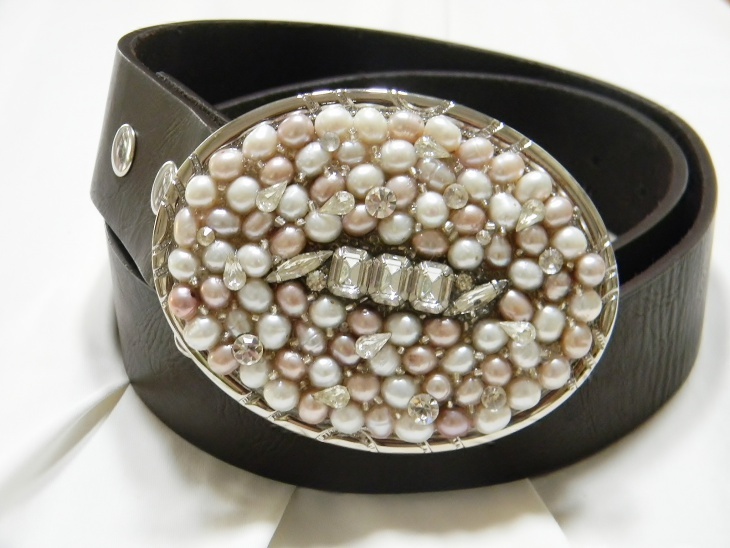 Depending on the materials, you can even get away with using leather belt with rhinestones in formal occasions. 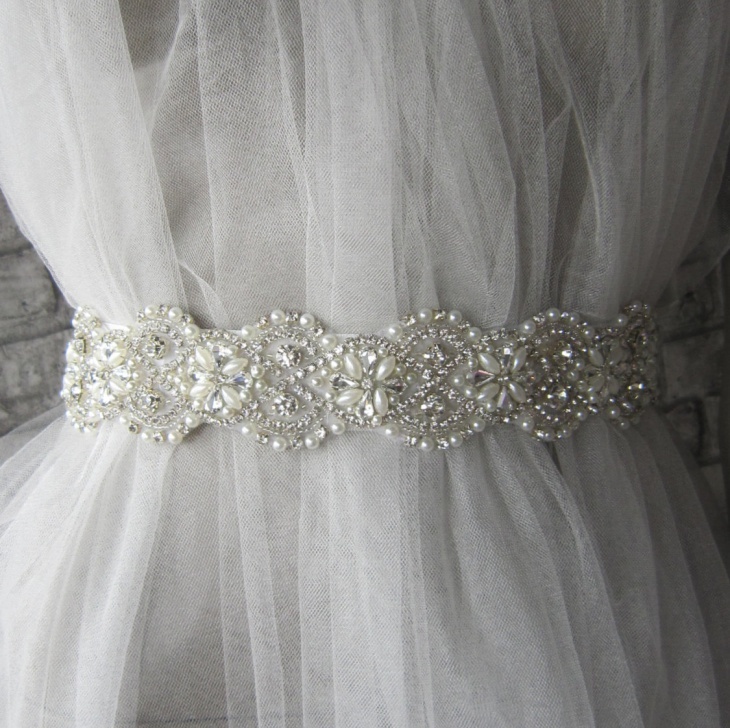 Rhinestone belts can be classic, vintage, modern, rustic, Bohemian or retro. Donning a western outfit is never complete without a leather belt. 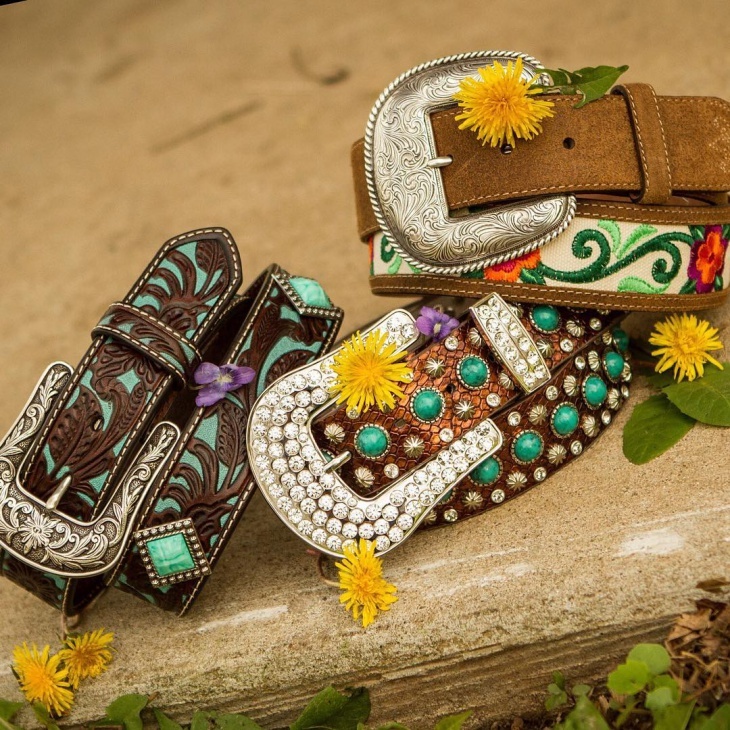 If you like the western fashion and you are also fond of colorful gems, then you may want to check out these western rhinestone belts. The green rhinestones used are simple but the overall design is a bit flashy. This is a perfect accessory for special western-inspired parties. A bridal outfit should be not be limited to white. If you like to add color into your bridal attire, you may want something like this rhinestone studded bridal sash. 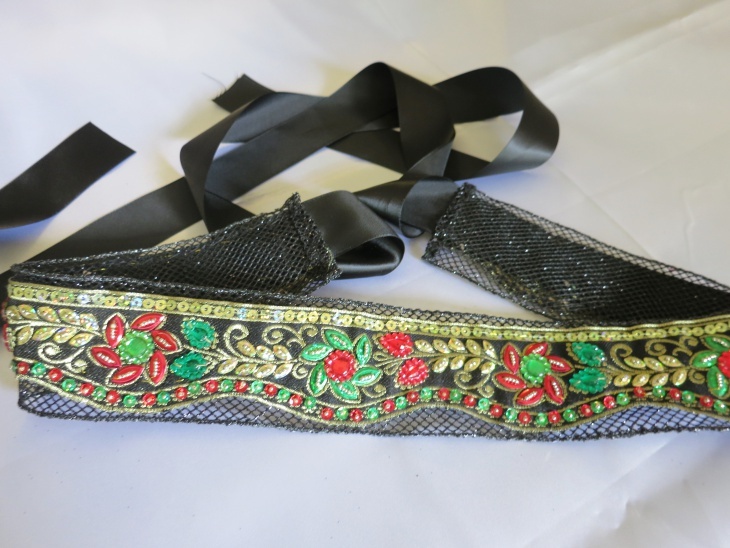 This wide belt has Baroque style and it is made of satin fabric decorated with crystals, pearls, and gold features. 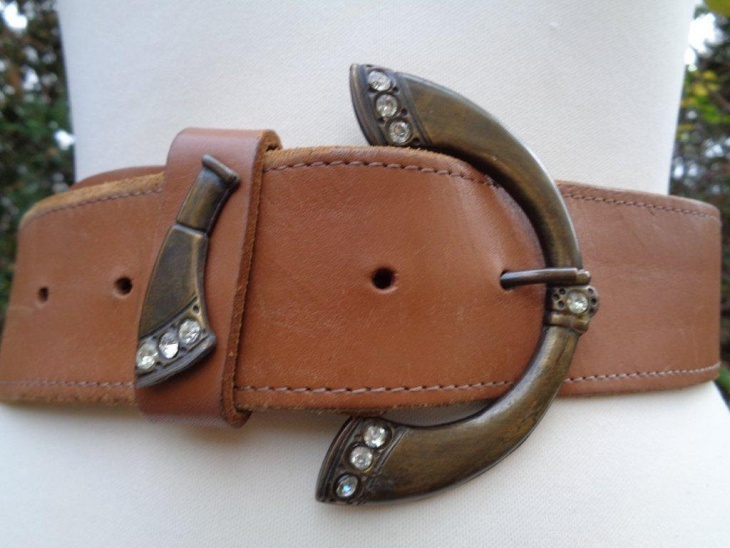 This leather cowgirl belt is not embellished or decorated with a series of rhinestones and other decorating elements. Rather is it accessorized with a heavily adorned buckle. The special buckle is embellished with a beautiful set of modern and vintage elements arranged in pretty random. 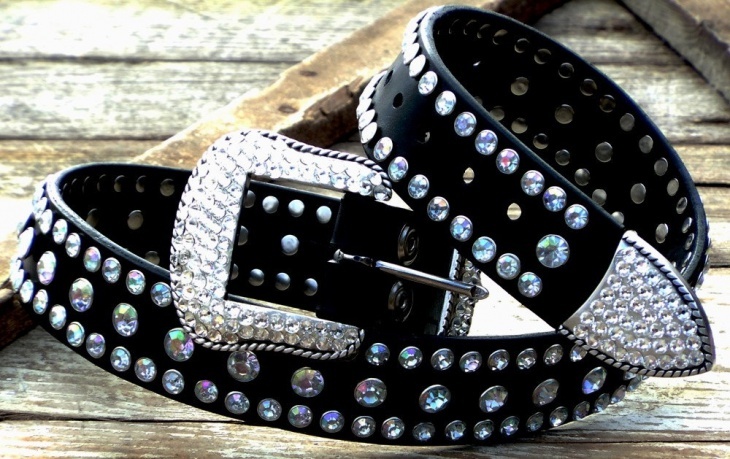 This black leather belt with rhinestone rivets and a western buckle with Swarovski crystal is a sure hit. It is designed with class and durability in mind. 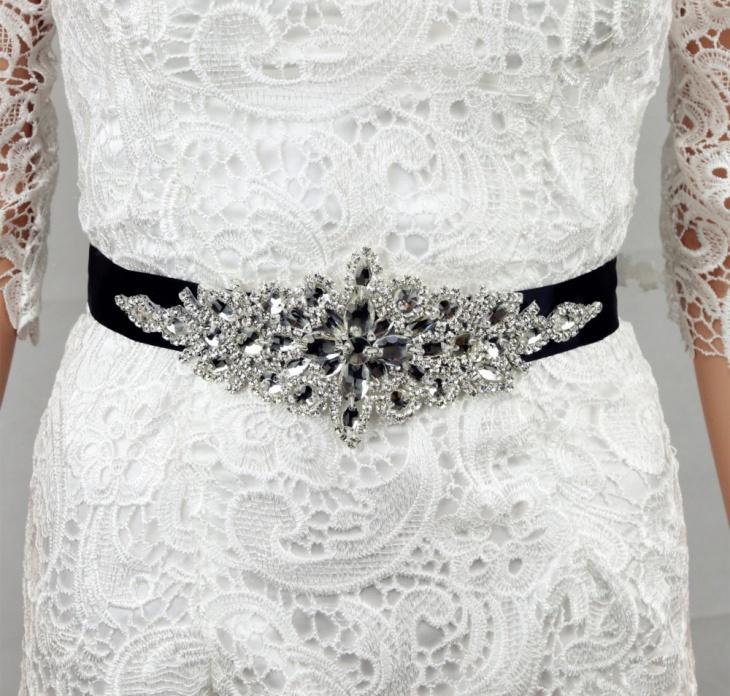 The rhinestones decorate the belt and the heavily accented buckle set provide the best finishing touches. 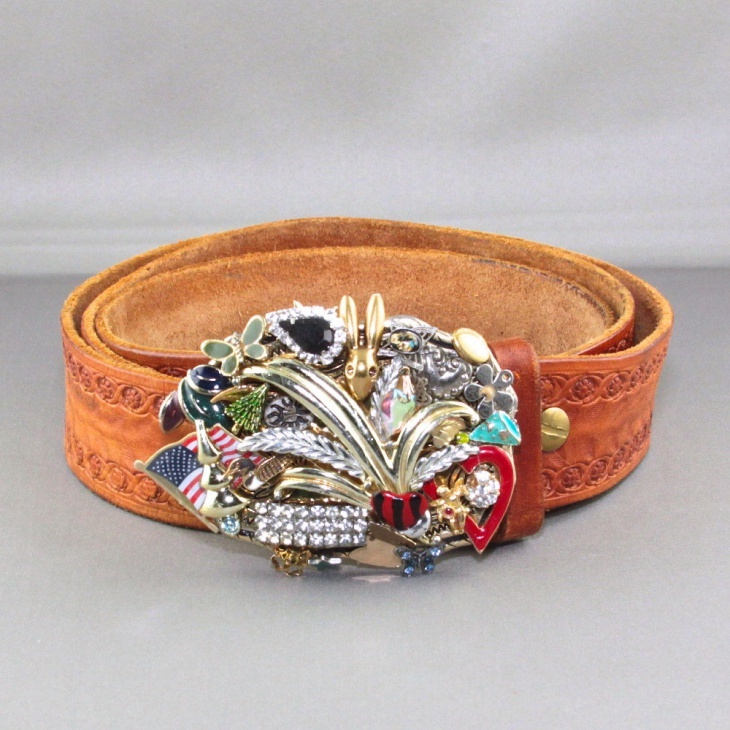 This high-quality leather belt is accessorized with decorative buckle set adorned with ten pieces of clear rhinestone. It is an ideal belt for the fashionable men. It is simple with a touch of elegance provided by the sparkling gems in rustic buckle set. 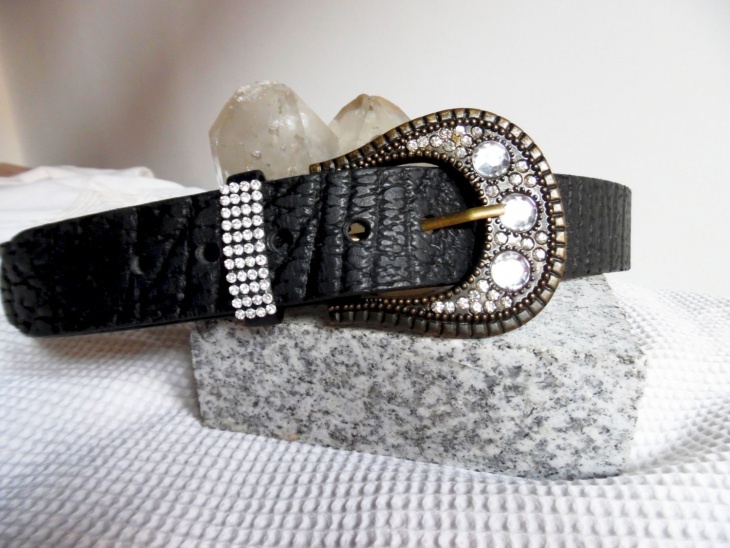 This black cowhide leather belt has a beautiful texture, which is enhanced with a buckle set adorned with decorative rhinestones of different sizes. This is a nice belt with simple design and it is not too flashy that it can actually be used every day. 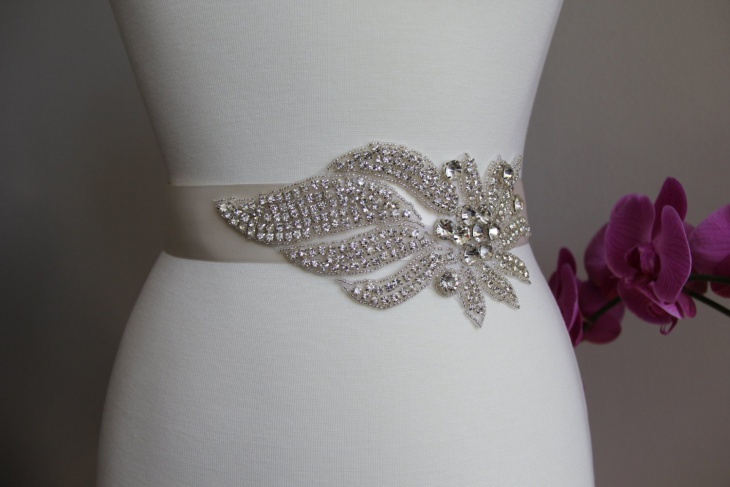 This adjustable rhinestone belt is classic, beautiful, and simply amazing. It is ideal to wear for weddings – whether by the bride, her bridesmaids or the flower girls. It has a front part made of highly sparkling crystal clear rhinestones in different sizes. It is glamorous, stylish and easy to wear with its adjustable satin ribbon feature. 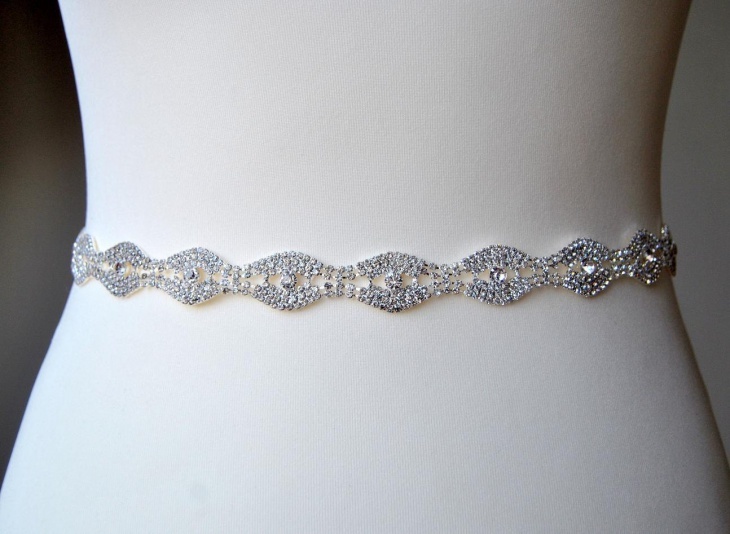 A chain of rhinestone made up this simple yet elegant belt. 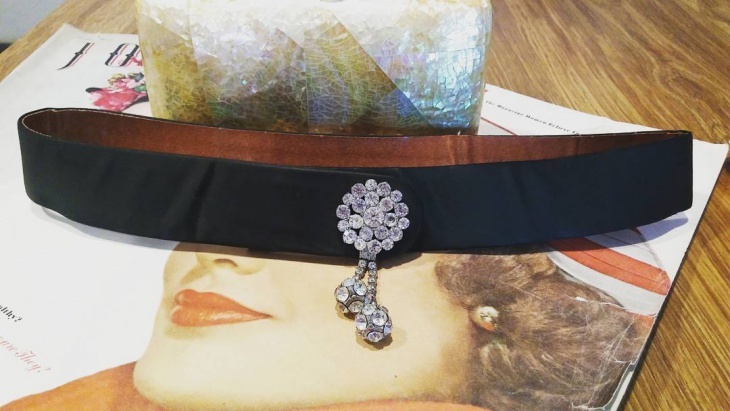 This is the perfect belt to wear with your favorite evening gown. The gold setting gives the stones a beautiful base. To finish off the belt, a gold hook is added on one end to be used as a fastening feature. 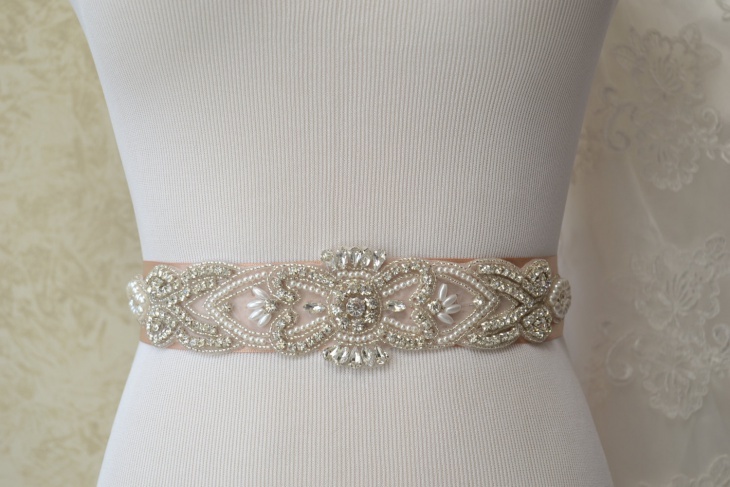 This bridal belt is made of champagne sash decorated with crystal rhinestone and pearls. 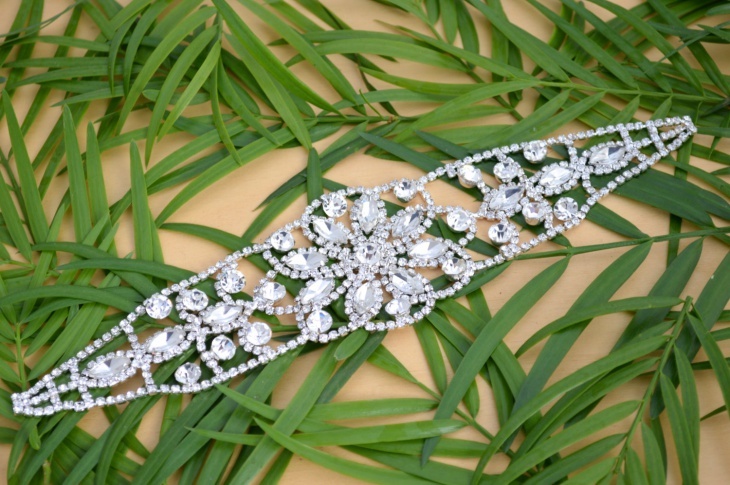 It is gorgeous and classic, making it a perfect addition to any wedding outfit. There are different types of belts. Leather belts are very common since they are durable and can be decorated for classier and more aesthetically-pleasing result. 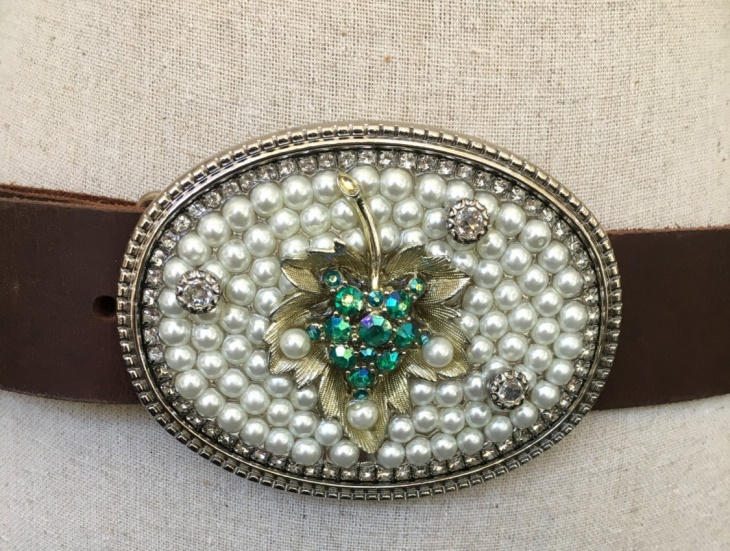 If you want to wear a belt that would make you stand out in the crowd, choose a rhinestone adorned one like a famous Rigger belt.